This 3 pin CB radio power cord is compatible with most Cobra, Uniden, Galaxy, and Midland radios. It includes 5 feet of 16 gauge wire and an inline 5 amp fuse. The cable ends in bare leads for connecting directly to the power source or a 12 volt power plug (cigarette lighter plug) for plugging into a 12 volt socket in your vehicle or power supply. The inline fuse for the 12 volt plug version is inside the plug. It can be accessed by unscrewing the tip of the plug. Installation of one of these power cords is pretty straightforward. The 3 pin female plug can only be plugged into the radio one way, so you can't get it backwards. 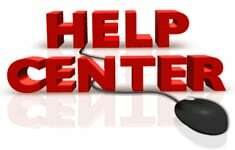 If you are finding that you have to force the plug, there is something wrong and you should contact us for technical support. 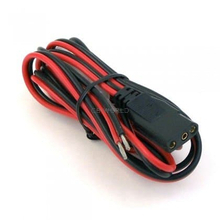 The version of the cord with bare leads can be connected through your vehicle's fuse box. The red lead connects to an accessory 12 volt fuse. The black lead goes to ground. For the cord with the 12 volt plug, simply plug it into a 12 volt power outlet.